I’ve been a member of a local group of praying pastors and church leaders called Community Prayer Partners for over a decade. It’s inspiring to see so many different denominations represented as we pray for revival in our region. One of our annual events is the National Day of Prayer Breakfast which we host. 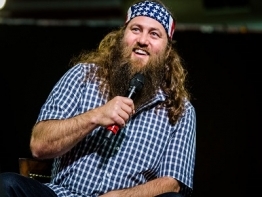 This year Willie Robertson will speak at our NDP breakfast at Monroe Civic Center in Monroe, Louisiana on May 7th beginning at 6:30 AM. Tickets are $10.00 each. Email me if you need tickets… kroberts@calhounchurch.org. If if you can’t be with us then – pray for revival!